Decoying waterfowl is one of the coolest things you can do. Add to that one of the biggest ducks around, weighing in at 5 plus pounds, decoying at 20 yards and closer – it is a recipe for a great time. 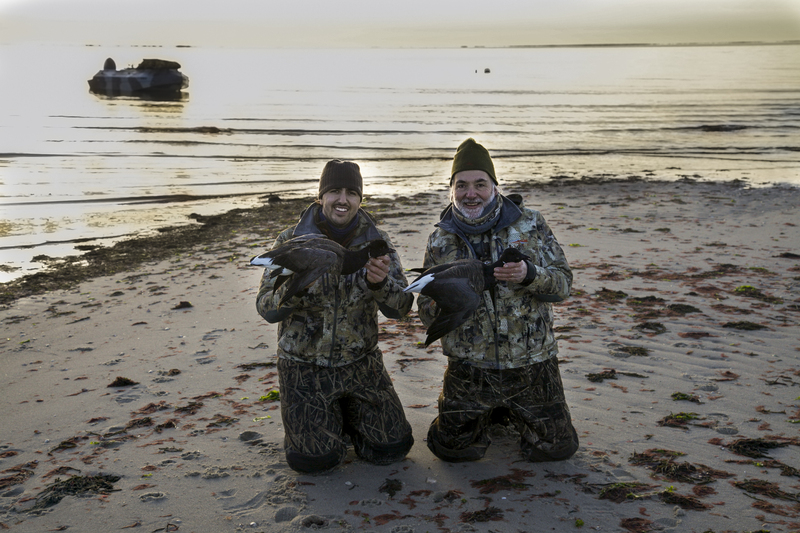 Hunting Sea ducks in historic Cape Cod is a must if you are waterfowl hunter. Not only is it a fun hunt, but for those of us who are waterfowl collectors, it’s one of the best places to harvest your Common Eider as well as Atlantic Brant. You also have some great hunting for Long-tail duck, aka Oldsquaw, Surf Scoters and White winged Scoters. Though the sea ducks would be your primary species given the time of year, you would also have the opportunity for Divers to keep you occupied: Buffleheads, Bluebills, and Mergansers. From time to time, hunters can encounter the king of sea ducks: the King Eider! Black ducks are also a possibility, depending on the time of year, as there are a lot of them in the area. For all you collectors – keep your eyes in the sky and look for that yellow bill. Jonas Brothers Wild Devotion‘s head guide in Cape Cod was born and raised on the Cape; he knows the ocean and more importantly knows where to find birds. One of our keys to success in hunting our sea ducks is being mobile. 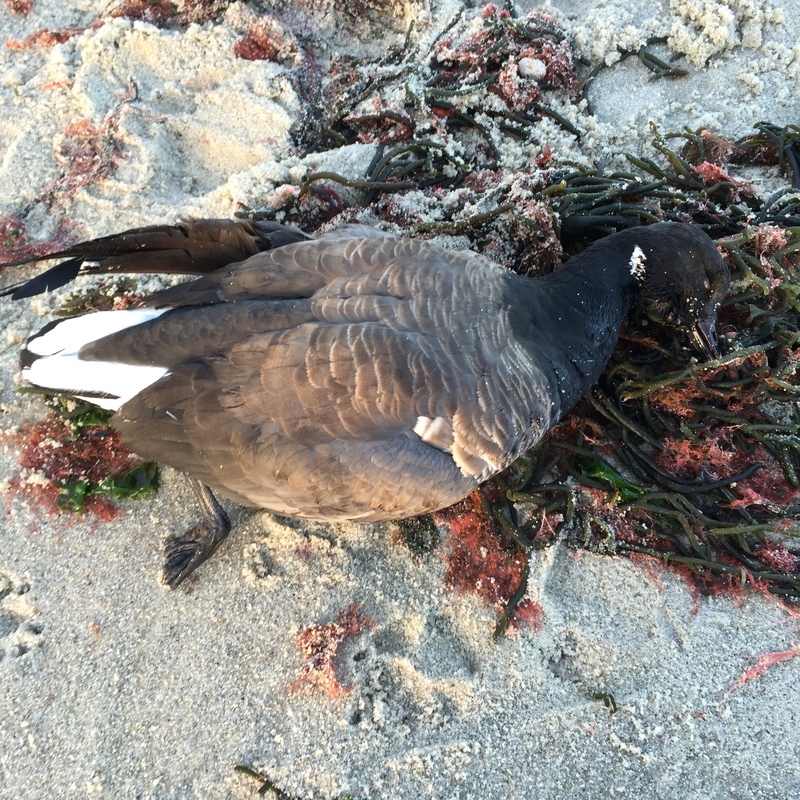 Different species of waterfowl prefer different locations to call home: Brant are looking for low tide with eel grass, while eiders, scoters and oldsquaw are looking for mussel beds, and black ducks are loafing on salt ponds. Being mobile allows our hunters to hunt different species at different times as certain locations are honey holes for certain species. JWD will find the ducks for you no matter what you are looking to pursue. Hunts take place on either a custom eighteen-foot duck boat or on different rock points, outcroppings, and beaches. Being able to find the birds and where they want to be is key. However, regardless of whether it is on the boat or in the rocks, the birds will be there. It is common to find rafts of ducks numbering in the thousands! It is an amazing site to see – thousands of giant white ducks filing out of a canal knowing that soon they will be turning around to come right into your spread. Or being on the open ocean with big rafts of scoters flying just inches off the water soring into the custom decoys. Or, as one of every one’s favorites, seeing the Brant decoy very willingly onto the ell grass flats calling to each other all the way. Lodging is located in traditional Cape Cod bed and breakfasts in historic fishing towns. Located close to boat ramps and minutes to delicious local sea food restaurants, it is an adventure that is full of action. The best time to hunt is December and January, the colder the better for sea ducks no matter what species you want to pursue. Contact us at Jonas Brothers Wild Devotion for custom package options.